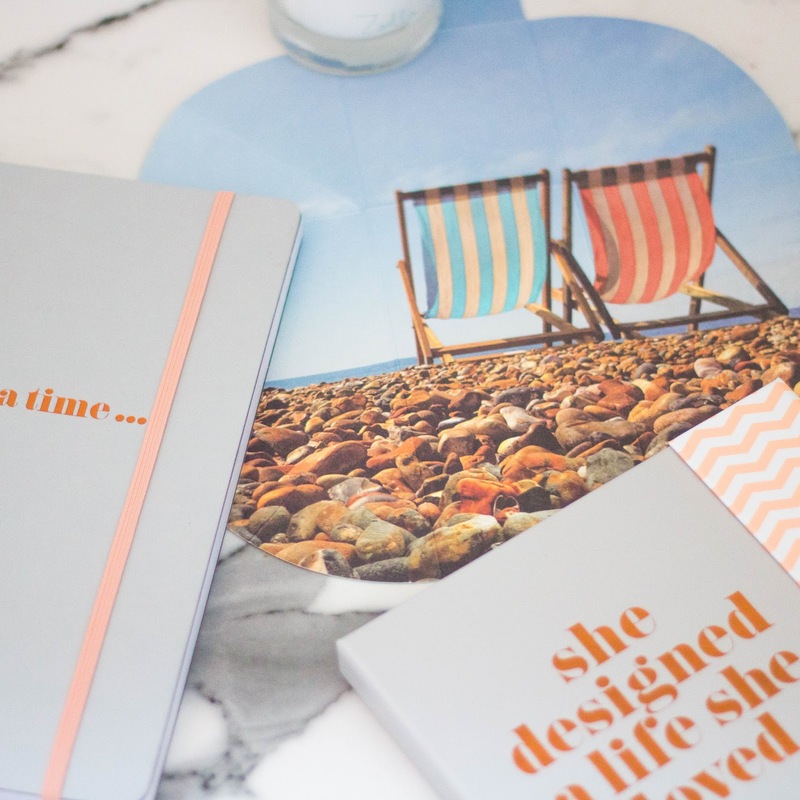 Like many bloggers, I was pretty excited to hear Zoella was bringing out a lifestyle range. I have always liked her beauty range (the hand cream is a saviour), however, as I'm definitely no longer in my teens (mid twenties actually... It makes me cringe a little when I say that!) I'm a little outside of the age group the Zoella Beauty range is aimed toward. 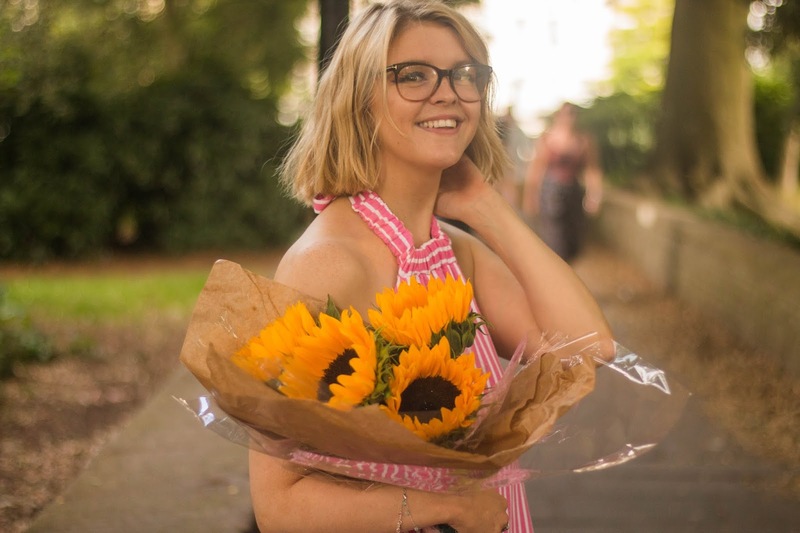 However, I still find myself intrigued when there is a new Zoella release and interested to see what she creates, as I'm sure many 20-somethings are. 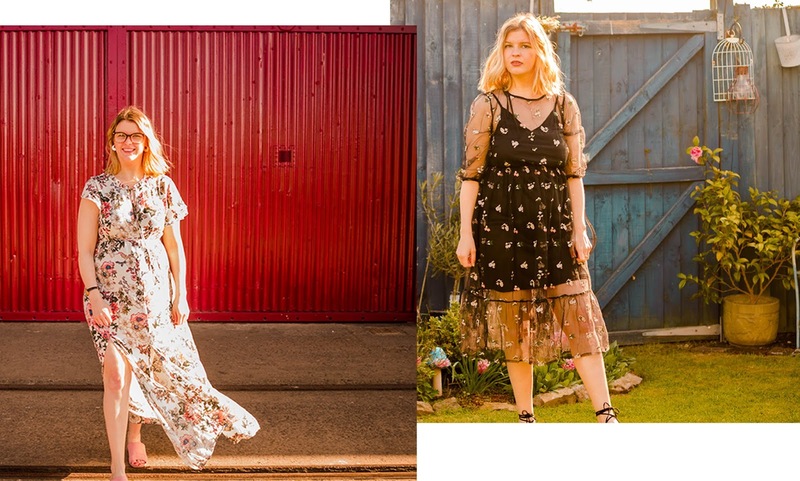 I think Zoe may have realised this too, as her lifestyle range seems to have a slightly more grown-up vibe - it definitely seems covers a larger audience, I don't feel too old for these products, but I can see teens enjoying these bits and bobs, and even those a little older than myself. 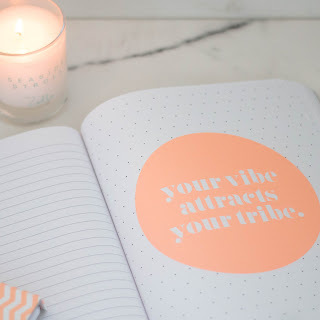 I have a weakness for stationery and candles, so of course, I was going to be obsessed with the range, and alongside this, I'm a complete sucker for a cheesy, yet inspirational quote and these seem to run through the aesthetics of the stationary. The notebook is A4, so it's a good size. The cover is a soft faux leather, and a lot more flexible than it looks, so which I really like. There are quotes written on the front, back and throughout the book. The quotes are a great way to gain that extra bit of motivation, inspiration, or even just a friendly reminder to stay positive. 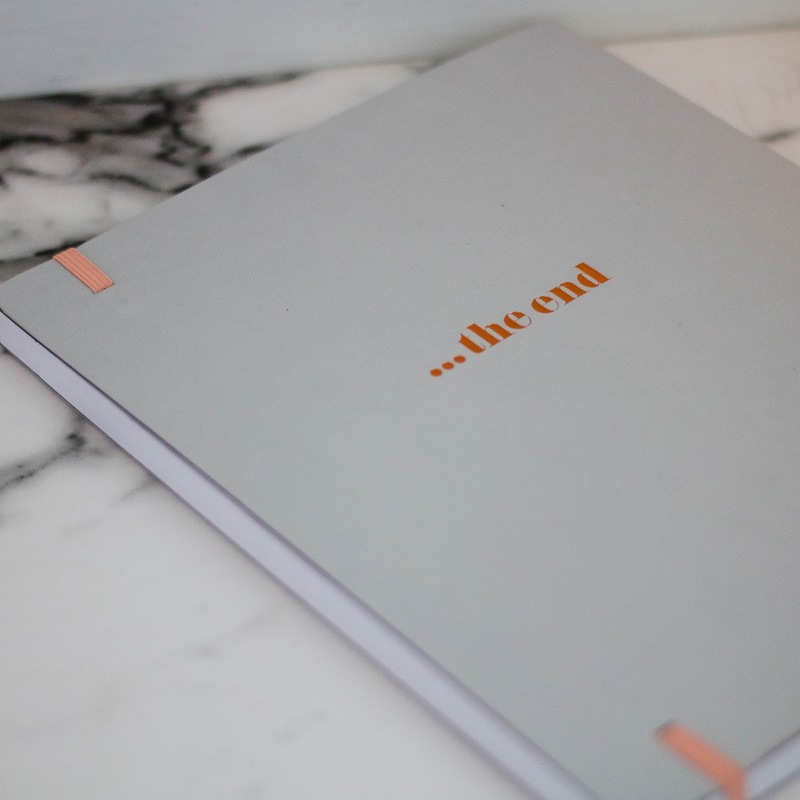 Alongside this, the quotes in the book are also ideal for dividing up the pages and working in sections. 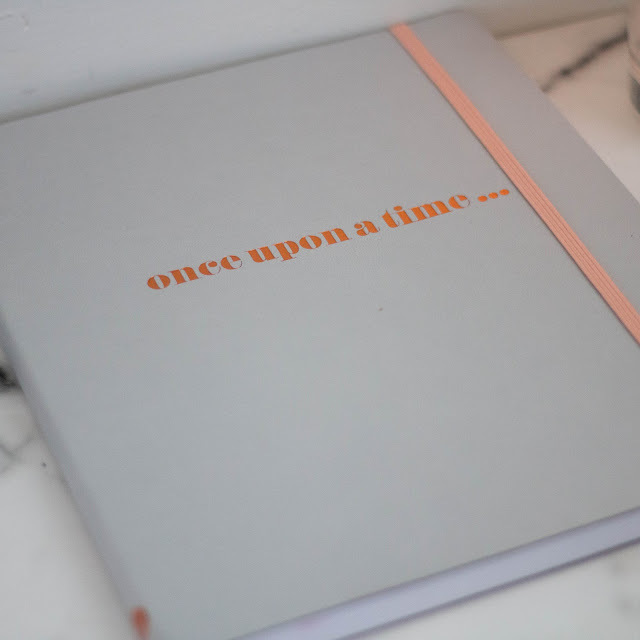 The text on the cover is embossed, in a stunning rose gold, which stands out against the grey, giving the notebook a sophisticated, yet eye-catching finish. To put it simply, it's a very pretty notebook, which pretty much shouts positive sayings at you - what more could you want from a notepad?! This was one of the things I was most excited about from the launch. 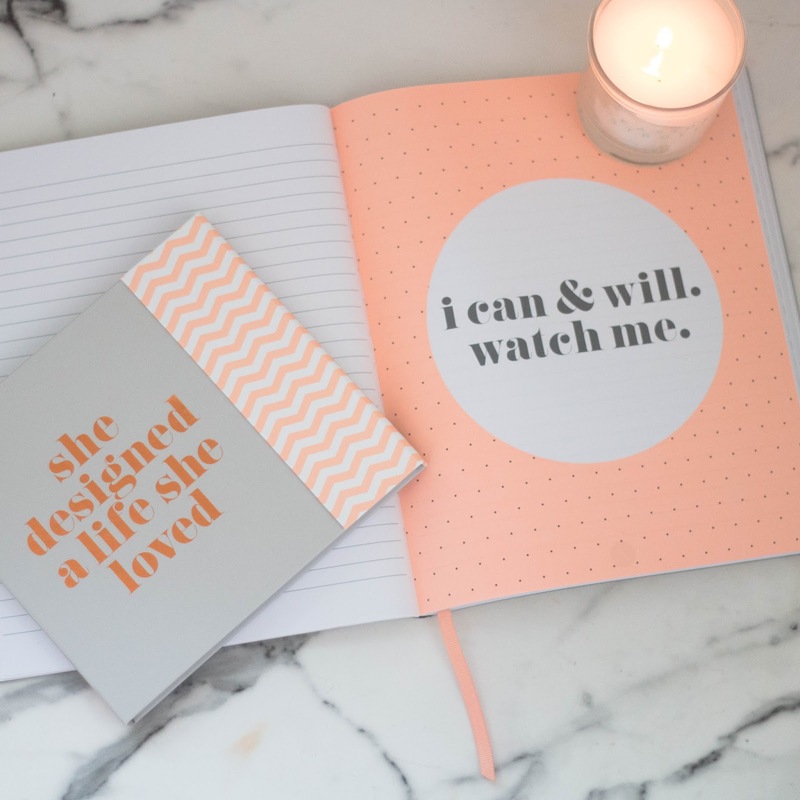 Similarly to the notebook, it follows the grey theme with the rose gold embossing of an inspirational quote (this also happens to be a quote I really love). It's smaller in size, which makes it much more handbag friendly. It closes neatly the use of a magnet, which I think is a little sleeker than an elastic band, and has an orange and white zig-zag pattern which adds a bit of interest to the design on the front. 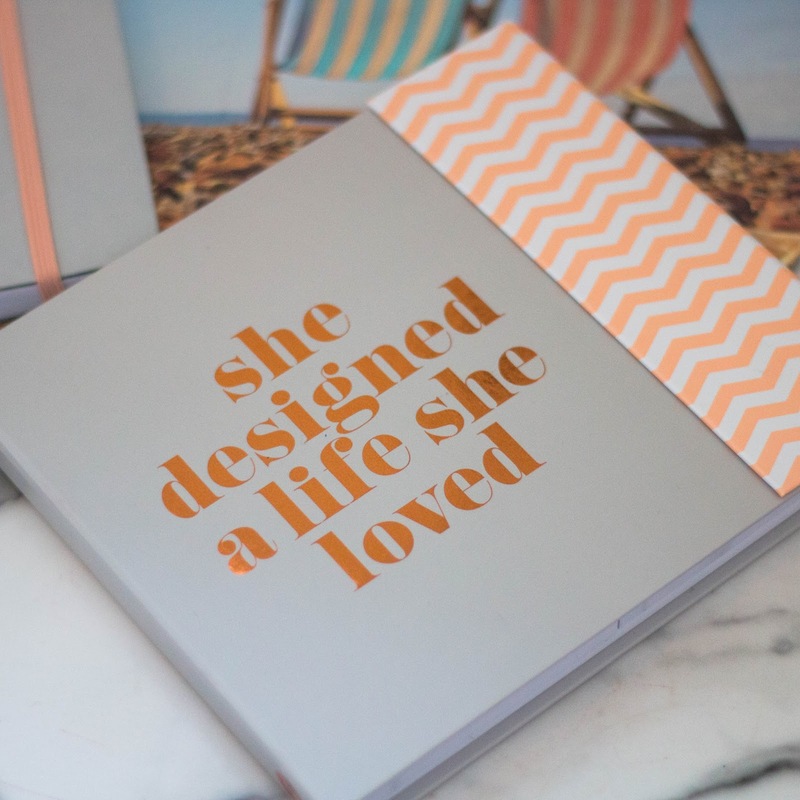 When this book opens, it reveals it is more of an organiser/stationary set than notepad. It is split down the middle. The left side contains post-it notes. Arrows, exclamation marks, ASAP and a note to self - basically every kind of post if you could want, which also happen to be much more aesthetically pleasing aspect than your average fluorescent post it, which remind me of revising for exams and 9-5 office jobs. On this side, there is also a 'big plans' list, which I think is perfect for to-do lists. On this side, there is also a 'big plans' list, which I think is perfect for to-do lists. If you read my blogpost on being more productive, you'll know I mentioned that I find having too much on my to-do list overwhelming and counterproductive. 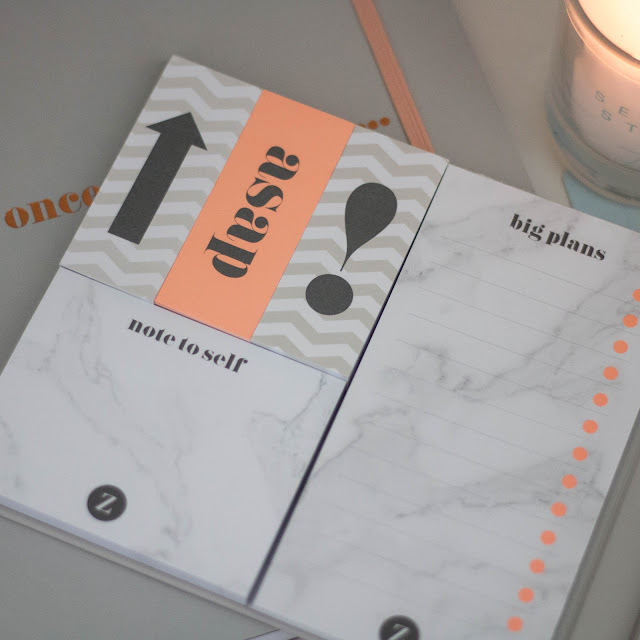 This little list writing section is perfect to avoid that - there are a set number of spaces, and it's titled big plans - it's basically telling you only need to pop in important stuff down. Of course, anyone can use it as they please, but I will be using it for my big plans. 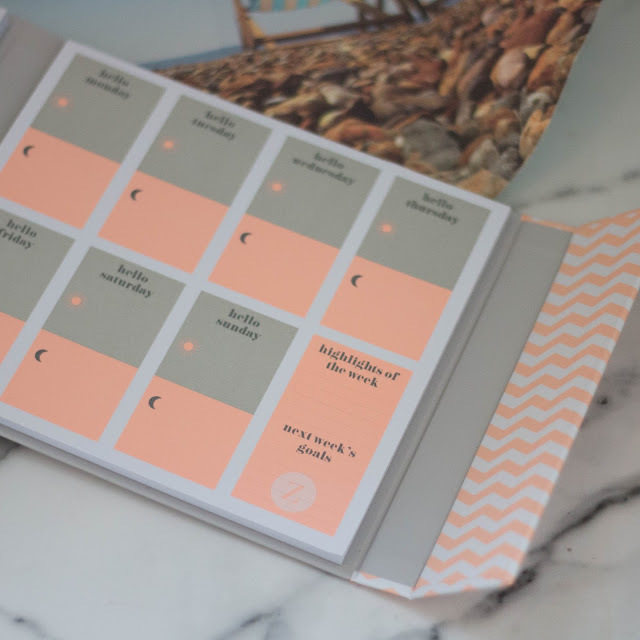 The right side of the book contains just one page which is set out as a mini weekly calendar. Each day is boxed in "hello Monday" with two sections per a day, a sun and a moon - night and day. This makes is really easy to map out of your week. My only complaint is, there is not much space for each day, however, that's the compromise you make for having such a compact organiser. There is also an option to write down the highlights of the week, and next week's goals. This is the perfect if you need to organise your time and stay positive. 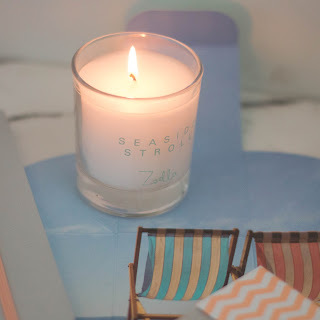 This was the only candle they had left when I got to boots - however, I'm a sucker for a sea salty ocean breeze kinda scent, so popped in straight in my basket. 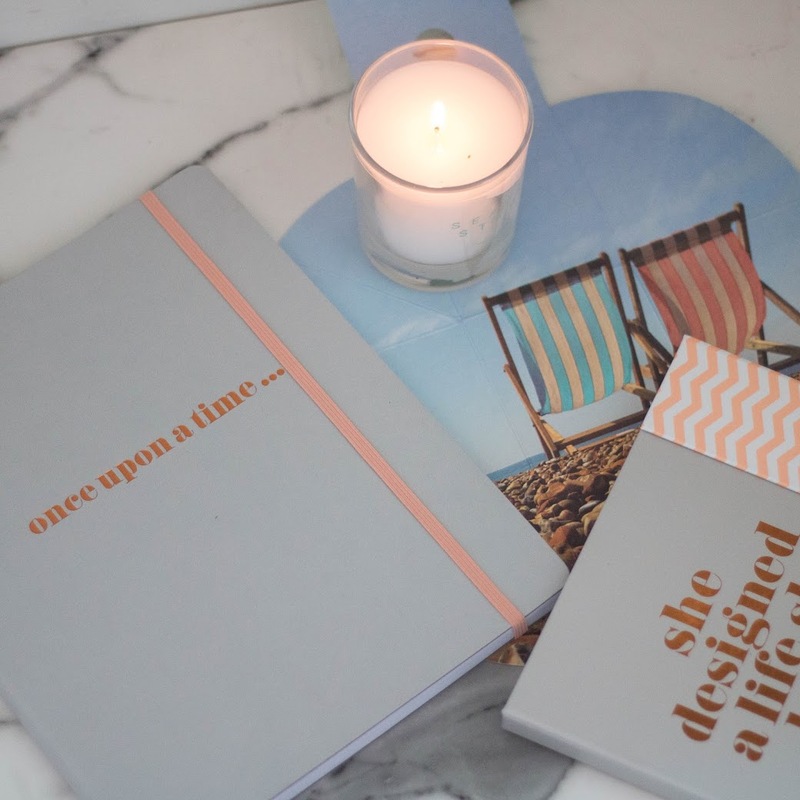 Firstly, the box this comes in is incredible, it opens up into a beautiful beach image - it's the details like this why I love the products Zoe created, she's put love into every corner of her products, rather than slapping her name on whatever because that will sell it anyway. The candle is in a clear glass with the name on it. The candle smells exactly as I expected, which is a good thing. The scent transports you to the beach, it's both salty and fresh. The scent is also much better quality than I'd expected. 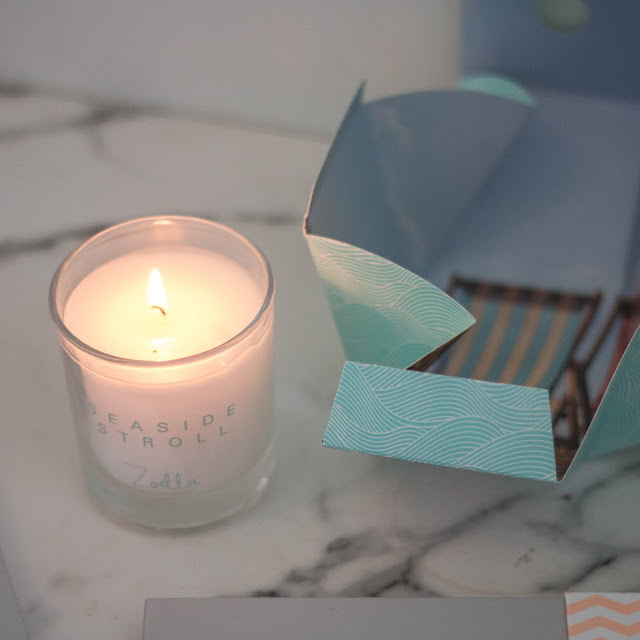 The candle is heavily fragranced considering the low price point and the smell will fill the room - but it's not overpowering enough to give you a headache, a balance which is tricky to come by with fragrance. I'm pretty pleased with all the bits I got for myself, and I'm looking forward to checking out the rest of the product Zoe has to offer. I think they pricing is really reasonable, there are lots of perfectly thought out details in each the products. Everything is oh so pretty - as always Zoe is on point with the aesthetics.